If your company needs decal advertisements on their delivery trucks or	your band wants a sturdy banner for an upcoming outdoor show, wide format	printing is the only way to go. 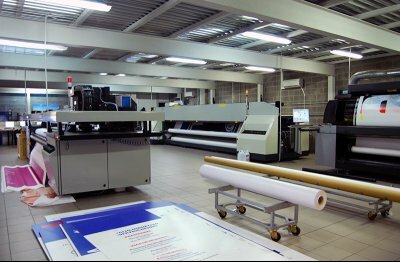 For decades, our experienced Atlanta printing	experts have been providing wide format printing solutions. Not only are	these printing services the most noticeable in terms of size, but they	allow for the most varied degree of print material options. High Gloss paper for posters, retractable banners, and stands. Whether you need them for your small business or want them for your front	yard, wide format printing makes a statement that’s impossible to ignore. Want a free project consultation or quote? Don’t wait! Give us a call at (770) 923-6277 today!